R.I.P. Millvina Dean. 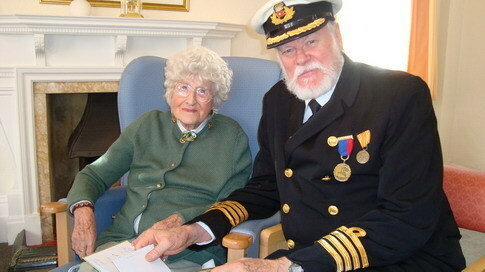 Elizabeth "Millvina" Dean died yesterday,31st May 2009, at the age of 97. Ms Dean was the last Titanic survivor.. Wallpaper and background images in the R.M.S. Titanic club tagged: millvina dean rms titanic last titanic survior dies photo. This R.M.S. Titanic photo contains berretto verde, forze speciali, soldato d'elite, soldato d'elite green beret, forze speciali, tenuta da combattimento, vestito da battaglia, affatica, and fatiche. There might also be corredo militare, detenzione, blu vestito, bianco vestito, abito blues, dress bianchi, alta uniforme, and pieno vestito uniforme.